Indian Railway invites applications in the Prescribed Format from eligible Indian Nationals for the 1679 Postsof Assistant Loco Pilot (ALP) & Technician For Gorakhpur Region through the Railway Recruitment Boards (RRBs). Many Eligible Candidates Filled there Online Application Form. The Process of Submitting the Online Application form is Started from 03.02.2018 and Will be Conducted till 31.03.2018. All the Eligible Candidates Who filled the Online Application form has face the Exam. First stage Computer Based Test (CBT) was scheduled during 09-08-2018 to 31-08-2018. Shift wise Answer Keys is available on RRB Bhopal’s Official Website. RRB has upload Answer Key within One week of commencement of Exam. Answer Keys will upload only between 14-09-2018 09 Hours 00 Minutes to 18-09-2018 23 Hours 55 Minutes. 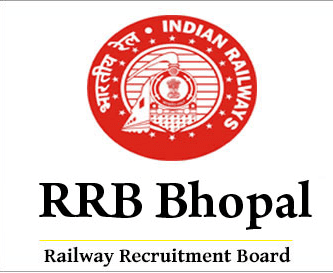 So all Candidates must keep an eye on Official RRB website. How to check RRB Bhopal ALP Answer Key 2017? Download the RRB Bhopal ALP Answer Key 2017 PDF.